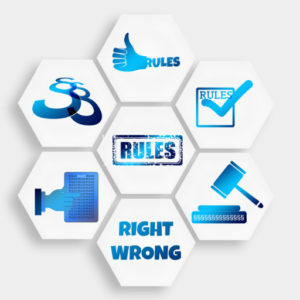 The changes between the 2014 and the 2017 National Electric Code (NEC) are numerous and diverse, consisting of several new articles and hundreds of revisions. It would be impossible to cover all these differences, and their nuances, in a brief online article, so we direct our focus to some of the more salient points in the changes made in the NEC. The provision for rapid shutdown (RS) was already provided for in the 2014 NEC, but the 2017 version tightened the regulations a little bit more. When this provision was introduced in 2014, the rapid shutdown system was intended to control conductors beyond a specified distance from the array to ensure first-responder safety in case of solar-power-related accidents or emergencies. PV conductors greater than 5 feet within the building, and those greater than 10 feet outside of a building must be limited to no more than 30 and 240 volt-amperes within 10 seconds of rapid shutdown initiation. The rapid shutdown equipment was required to be identified in accordance with its specified purpose, but in 2017, the requirement now includes labeling. Labeling requirements are certain to affect the production of RS-specific products and standardized and certified RS combiners. Compliant RS combiners are expected to hit the market sometime in 2019. Other changes to RS compliance requirements include the limiting of controlled conductors depending on their location in relation to the PV array boundary or point of entry into a building. If it is located within to about 1 foot from the PV array, or any that are less than 3 feet from the point of entry into a building, it must be reduced to 80V or less within 30 seconds of rapid shutdown initiation. Also, non-metallic PV array with no exposed wiring should be installed more than 8 feet away from grounded metal parts. There are some changes to the 2017 NEC that impacts the use of GFCI protection. For one thing, the measurement of the distance of the GFCI to a receptacle is now the shortest path that the cord of an appliance would be without piercing a barrier like a wall or ceiling, and without passing through a doorway or window. This is clarifying language to address prior issues when some would measure the same distance a bit more creatively, such as measuring the distance a cord would travel around the perimeter of a room. Also, the scope of use for GFCI protection units was expanded to include two new locations: crawlspaces at grade level or below grade level, and unfinished portions or areas of a basement even if they are not intended as habitable rooms. And while in the 2014 NEC, GFCI protection was only required for 125-volt, single-phase, 15- and 20- ampere receptacles; in the 2017 NEC, they are now required for all single-phase receptacles 50 amperes or less, rated 150 volts to ground or less, as well as three-phase receptacles of 100 amperes or less, rated 150 volts to ground or less. This is a provision applicable to all other spaces other than dwelling units. Under the 2014 NEC, there was no explicit mention of any regulation regarding grounding electrode conductors lying unprotected on the earth. Under the 2017 NEC, additional safety precautions were put in place by the requirement that a grounding electrode should “be buried or otherwise protected if subject to physical damage.” Some form of stability was needed for grounding electrodes, because of the importance of the role they play. Even if they are not prominent and visible, just leaving them lying on the ground means that they can be moved or kicked around, and people could simply trip over them. Requiring this additional protection for ground electrodes should address this issue. More tips on common grounding mistakes to avoid can be found here. 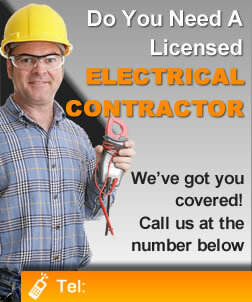 Professional electricians at www.electriciancolumbusohio.com can help you with all your electrical installation & repair needs.